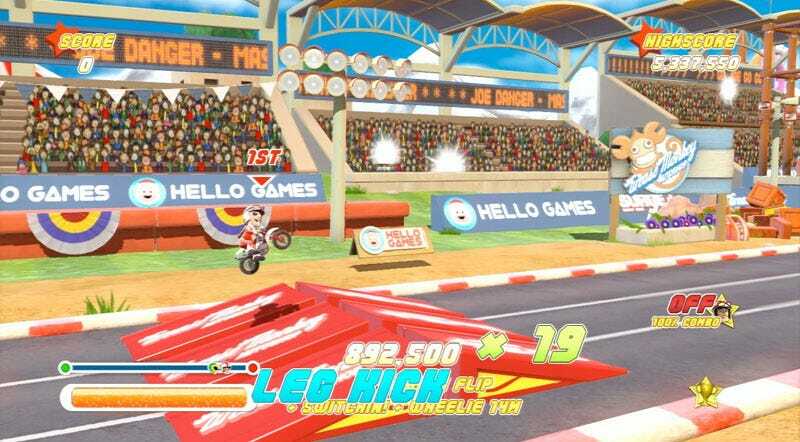 Hello Games' Joe Danger has wheelied its way to sales success on the PlayStation Network, but the indie creators of the fun and vibrant stunt 'em up had a hard time convincing publishers that "fun" would sell. No really. According to Hello Games' Sean Murray, the creators of the PSN exclusive stunt racer ran into some surprising, arguably boneheaded opinions when pitching the title. Murray said at today's Develop Conference that despite the following suggestions from top idea men, first week sales topped 50,000 copies. Not bad. Here's how some publishers, who shall remain anonymous, reacted to Joe Danger. "Collecting giant coins feels unrealistic to me"
"I can see this working as a Facebook app"
"We want games that are less about fun right now"
"Can Joe be a monkey? We like Monkeys"
Oh, there are more nuggets of wisdom at Develop's report on the Joe Danger talk. Read 'em. You'll feel smart. Update: At the request of my editor, I've added a monkey to this post to make it better. It was the right call.